It’s purposeful don’t worry, alliteration. To say the team changed my life would not give it justice. The role that the RoboLancers, it’s members, it’s leaders (past and present), and the people and events it brought me into, was the single most influential subject in my development in becoming a young adult. Besides it giving me confidence (I was pretty narcissistic, ask anyone) it gave me the opportunity to grow in tech experience, public speaking, and leadership. With these tools, at only 18, compared to my classmates at Drexel University, I was prepared for anything. My friend Nadia recorded our reactions when the MC read out their punny poem leading to our award and place at Worlds 2 years ago. To say we were livid would be a gross understatement. It changed everything in the minds of people on the team, it was possible. In only 2 years we have now done it again. The students, the young talent that this team has collected over the years, has brought the largest award in FIRST, from regional competition, and the “blue banner” thereof to Central High School. To me, this means “we made it.” We have gone from a few members doing our best at local competitions, to a World Competing team with 100 members. I’m glad I had the opportunity to attend the team meetings leading to our success. I’m even more happy to see that the young men and women to take me and my graduates place on the team have not only done as well as us, but by far surpass us. They say raise your kids to be better than you could ever be. We are the RoboLancers, I’m not just proud to have been involved, I’m proud of what we have achieved without my team presence. 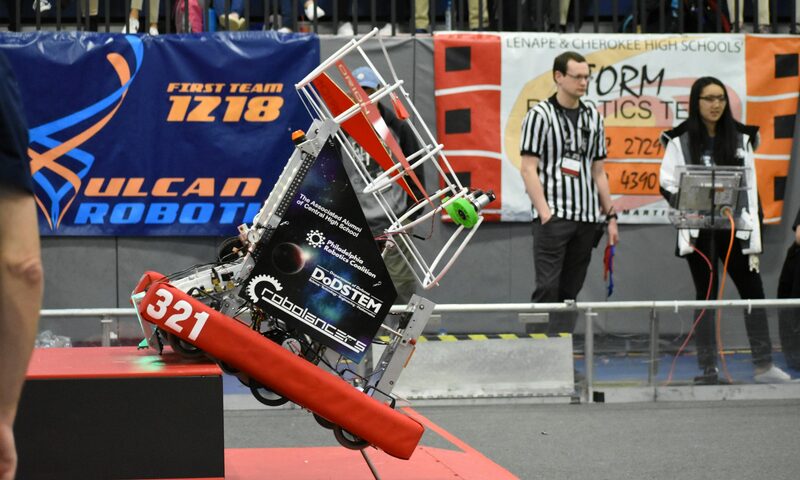 It’s taken a little over a decade but in FIRST, mark my words, the RoboLancers, team 321, have arrived to the dance floor and we’re ready to kill it.